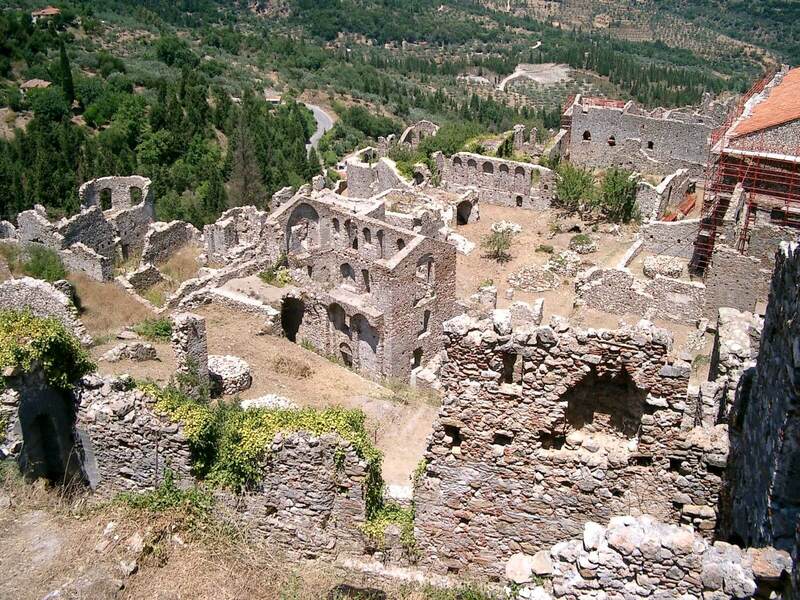 Mystras was a Byzantine city in the Peloponnese, close to Sparta. 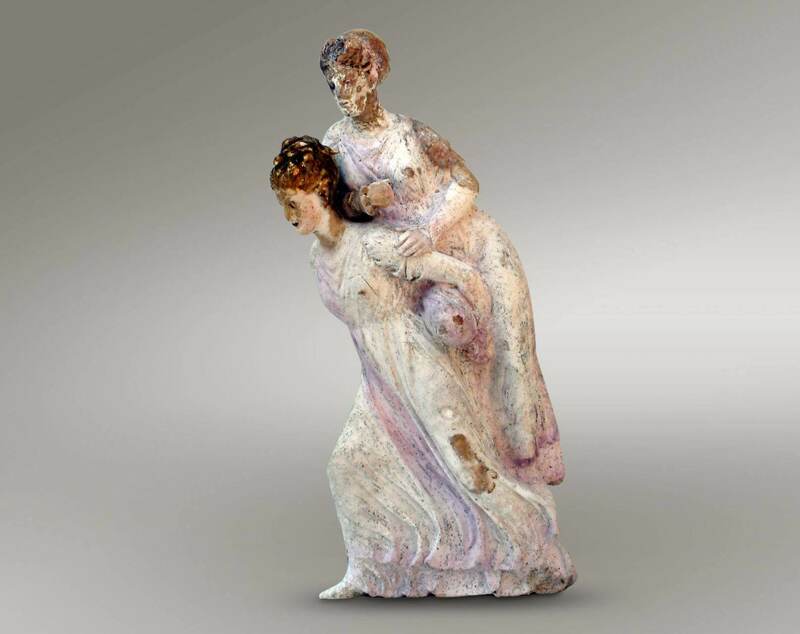 Today he is in ruins, although some buildings have been restored, and is a valuable source of knowledge of history, art and culture of the last two centuries of Byzantium. The story “the dead city” of Mystras today begins from the mid-13th century, when completed the conquest of the Peloponnese by the Franks. 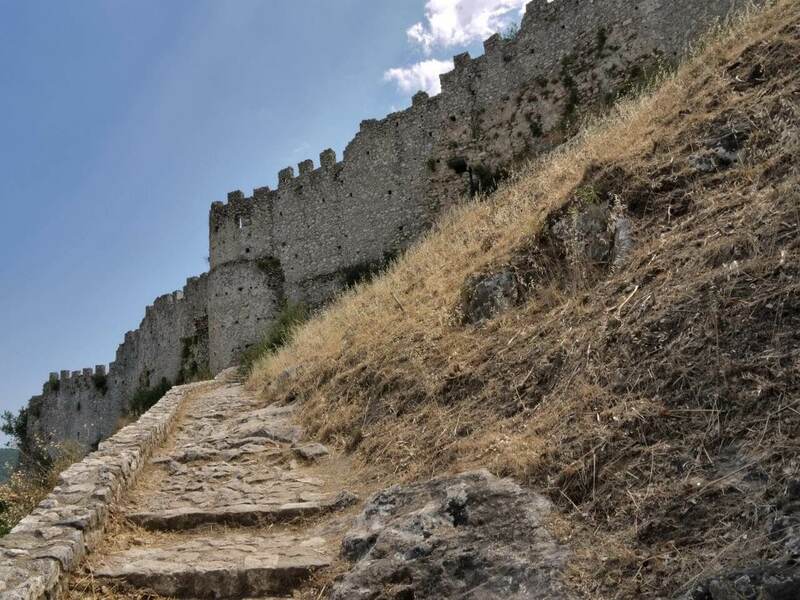 In 1249 William II Villehardouin built his castle on the east side of Taygetus, on top of a hill with steep and conical form, called Mystras or Myzythras. 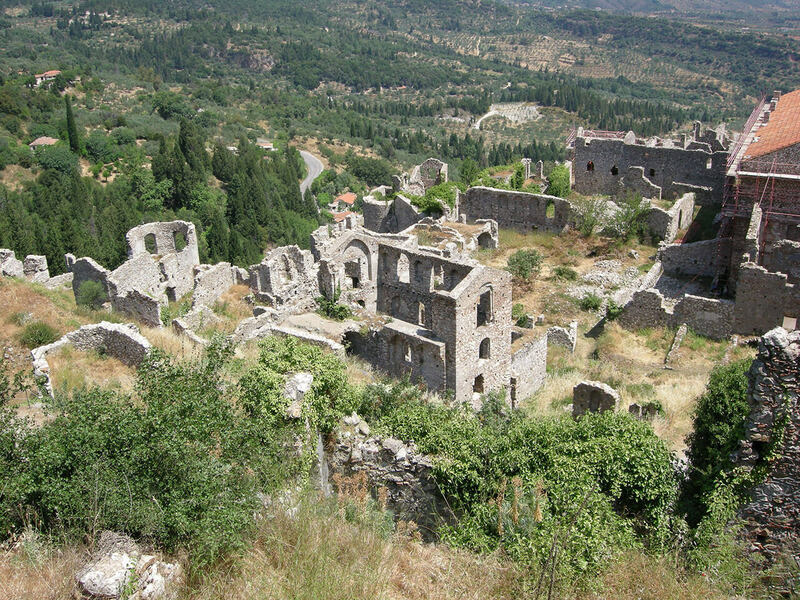 Mystras developed into a great castle and became the capital of the Despotate of Morea. He continued to be an important city in the following centuries until the first metaepanastatika years, and then abandoned. 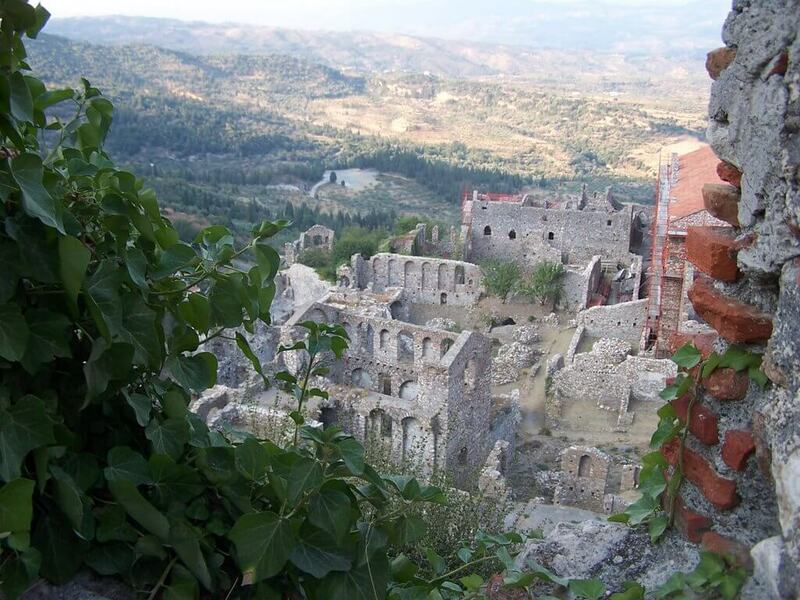 Today Mystras is by far the most important Byzantine monument in Greece. The castle is located on a steep hill that dominates the fertile valley of the Eurotas, six kilometers west of Sparta. 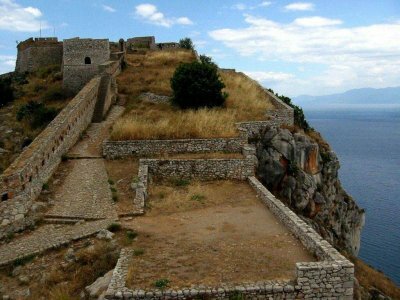 It is very likely, the main reason for the decision to build the Frankish castle at this point was the proximity to ancient Sparta. For Franks, much more than for the Byzantines, the acquisition of a castle was more than strategic choice. It was mainly showdown and success symbol. Especially a castle in Sparta must have special symbolic value for Westerners and even gave more weight and even internationally. 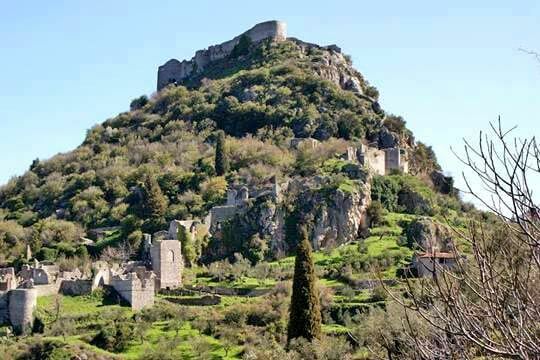 The establishment of Mystras connected to the first conquest of Constantinople by the Crusaders of the Fourth Crusade in 1204: the Byzantine Empire fragmented and the Peloponnese granted the Frankish family Villehardouins. The layout of the castle is divided into three separate zones with considerable altitude difference: Upper, Lower and Exo Chora. In addition there is the citadel at the top. In the Upper Country stand the palaces of despots. Built in different periods (13th to 15th century) and form a large complex where the throne room dominated. In Lower Town, the Cathedral stands out, namely the church of St. Demetrius, where he was crowned on January 6, 1449, the last emperor of Byzantium, Constantine IAPalaiologos. The Frankish castle on top dominates throughout the rock. 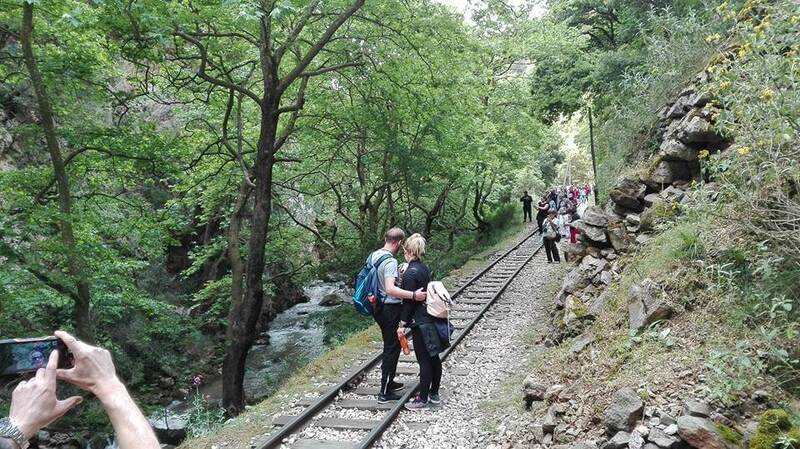 It is accessible from the Upper Country and hiking ascent requires 10-20 minutes. Mystras there archaeological museum housed in two-storey stone building of 1754, with interesting manuscripts, jewelry, reliefs and other Byzantine exhibits. The castle ruins are largely but constantly made maintenance and recovery operations. Already restored palaces and churches. Pylos is a small picturesque seaside town, situated in the southwestern part of the prefecture of Messinia. It is 52 km. Town of Kalamata. Pylos is the largest natural harbor in the Peloponnese and simultaneously one of the most interesting tourist destinations in Messinia, thanks to the glorious history and rich natural beauty of the area. Pylos is a beautiful city for quiet accommodation, as apart from the interesting sights and has beautiful beaches. Pylos, you can enjoy the sun and sea, choosing between sandy or pebbly beaches, isolated or crowded, and to indulge in water sports in the crystal clear waters of the Ionian Sea. At the foot of the Castle of Pylos there are eight magnificent furnished apartments that will satisfy even the most demanding clients. At the foot of the Castle of Pylos, there are eight magnificent furnished apartments that will satisfy even the most demanding clients. Comfortadle and sunny spaces with TV,air condition,kitchen and all our will to offer you an unforgettable hospitality.Are waiting for you! 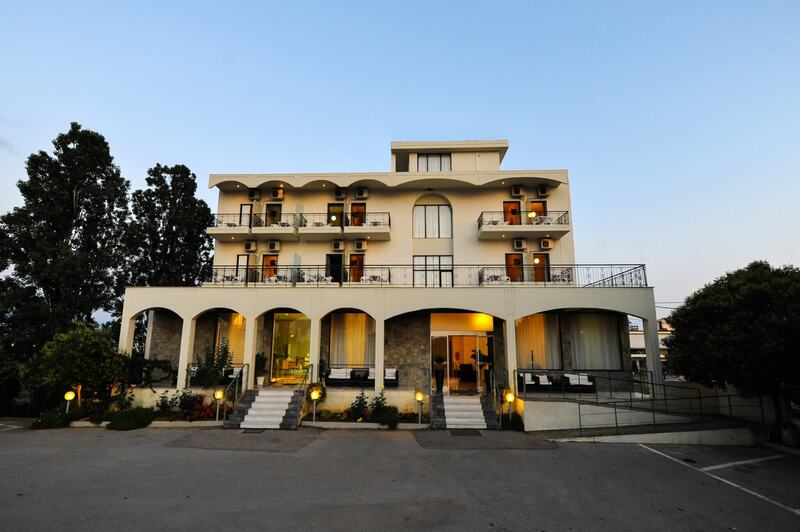 Elenas Hotel has been running for the past 35 years and, based on the requirements of our guests we have created an ideal accommodation in a comfortable and pleasant family atmosphere.